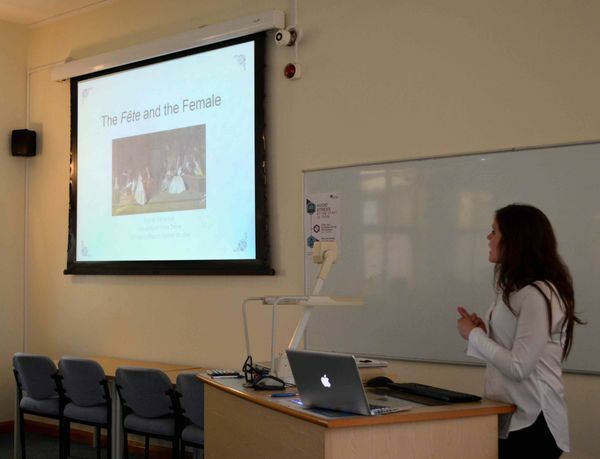 On April 15, four students participating in the College of Arts and Letters and Notre Dame International’s Kennedy Scholars Thesis Seminar were invited to present their research proposals at Durham University, before a jury of faculty members and graduate students. Warren von Eschenbach, Academic Director of the London Global Gateway, described the occasion as the “capstone” of the Thesis Seminar – which over a semester, introduces students to research strategies and techniques in the humanities, social sciences, and arts, as well as academic resources in and around London. With constructive feedback from the jury and new insight gathered from Durham’s world-renowned libraries and archives, the Kennedy Scholars will hone their research proposals. At the end of April, they will submit their projects to the Institute for Scholarship in the Liberal Arts to be considered for Undergraduate Research Opportunity (UROP) grants that would fund their senior theses. Meghan Dalton, political science major, said that the trip had helped her to develop her research topic (‘The differing impact of government policy on post-war veterans in the US vs. the UK’) and also her confidence in presenting it to others. 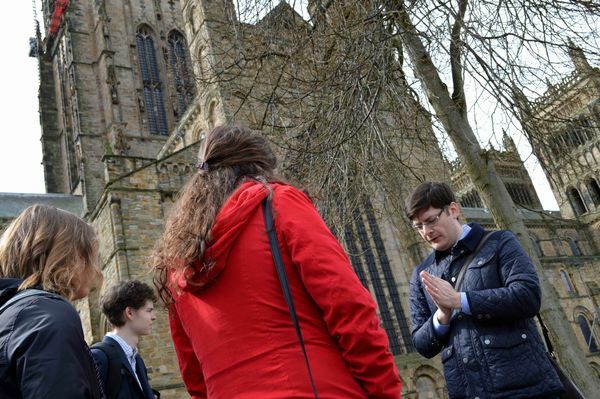 Another highlight of the Kennedy Scholars’ trip was a tour of Durham University and Ushaw College, guided by London Undergraduate Program faculty member and St Cuthbert’s Society research fellow, James Kelly. 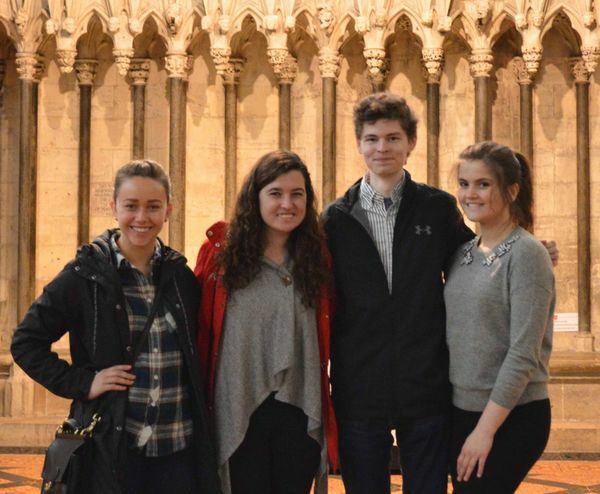 The students particularly enjoyed learning about Early Modern British and Irish Catholicism and the history of the nearly 200-year-old university. En route back to London, the group visited the largest Gothic cathedral in northern Europe, York Minster. The Kennedy Scholars Thesis Seminar is a partnership between the College of Arts and Letters and the London Global Gateway. It gives undergraduate arts and letters students the opportunity to visit research facilities in and around London, learning how to identify, locate, and analyze a range of materials. During the course, students investigate areas for independent research using a wide range of sources – primary and secondary, physical and electronic – such as manuscripts, diaries, interviews, archival photographs, artwork, and archaeological finds. Students refine their research topic over the course of the semester, in communication with their faculty advisor. They develop a draft research prospectus by the end of the course, to be considered for a Kennedy Family Premier Undergraduate Research Fellowship. Read more about the Kennedy Scholars London Thesis Seminar and find out how to apply. Originally published by Rina Buznea at international.nd.edu on April 21, 2016.